Nottingham-based artist Tracey Kershaw collects stories about mothers and maternal relationships and she’s been doing so for years. At the beginning, these stories were exhibited on pieces of paper or fragments of fabric. In her exploration for a more permanent way to honour these valuable memories and expressions, she eventually found a natural home for them in which to rest — inside her Mother Bowls. The symbolic reference to the maternal body is forever imbued in a bowl’s womb-like shape. 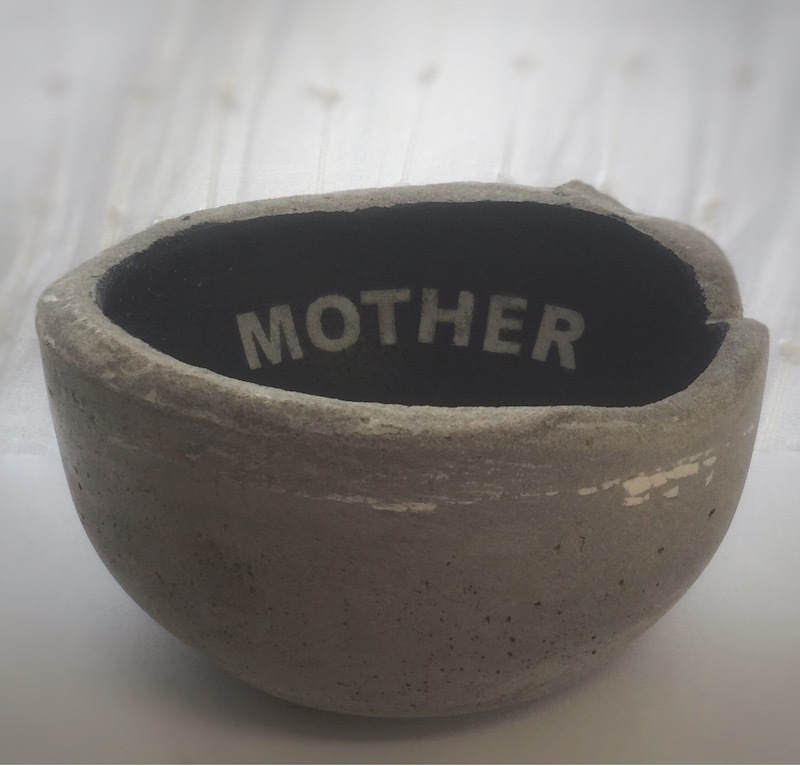 Handmade from concrete — a material that is both strong and fragile at the same time — Tracey’s Mother Bowls become receptacles of healing, caring and protection, speaking quietly of prosaic domesticity while representing fertility and life. Tracey Kershaw’s Mother Bowls are available through commission. 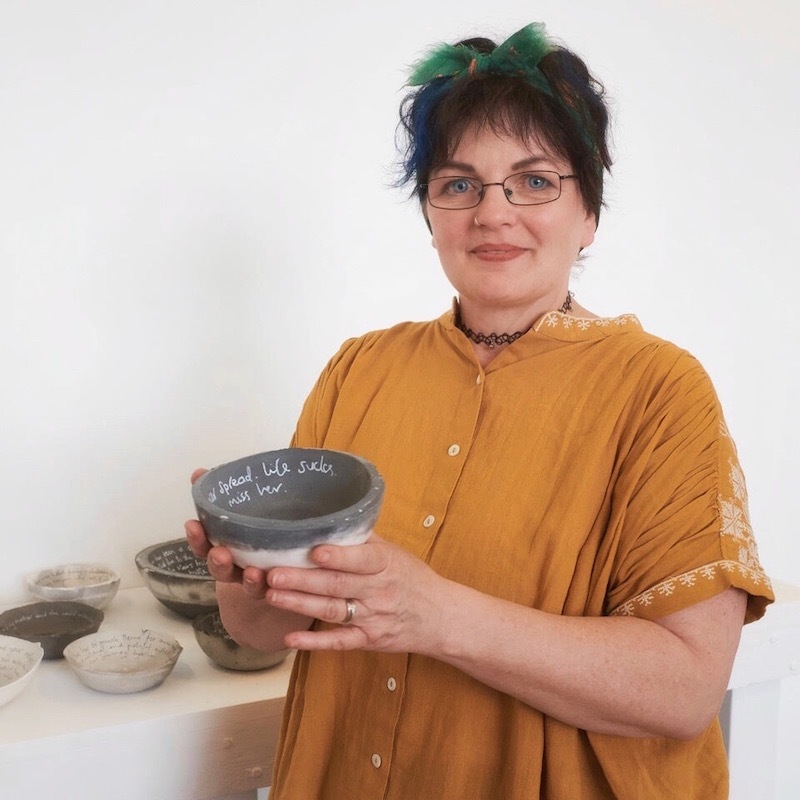 Above: ” I am drawn to bowls because of their round, curved and organic shape, their uncomplicated functionality and irrefutable familiarity,” Tracey says. Above: Tracey inscribes the bowls in the handwriting of the person who has written the comment. 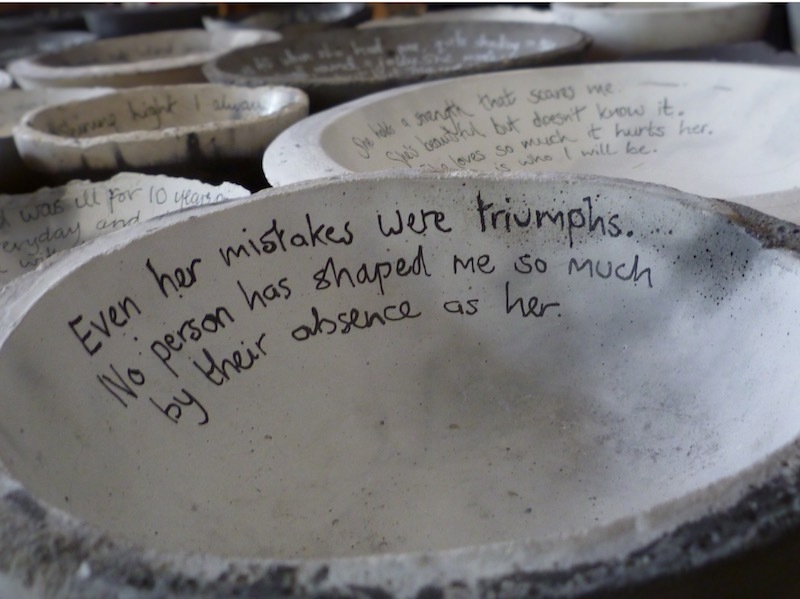 Above: “I formed the Mother Bowls as carriers for the collected reminiscences of mothers; containers to hold and safeguard each word, unburdening those who have shared their experiences,” Tracey says. 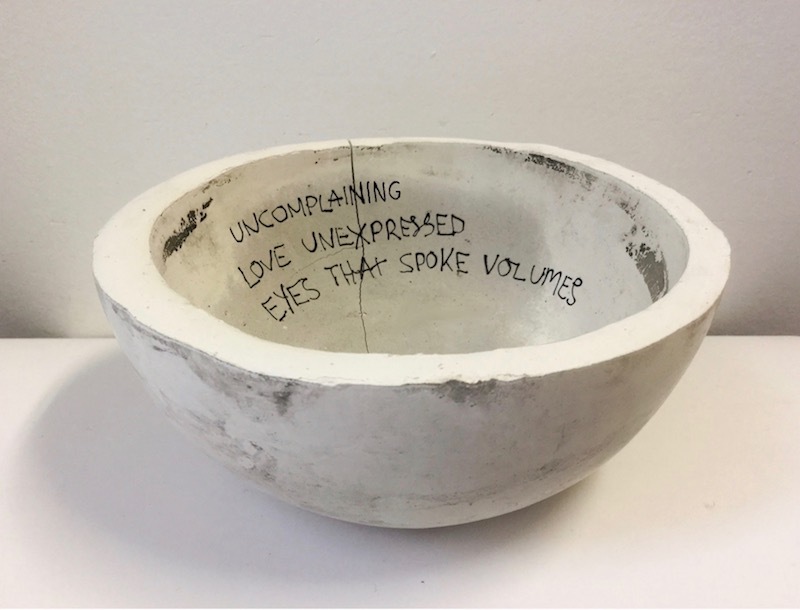 Above: “Referencing cross-cultural and traditional customs, each bowl acts as a vessel for a single curated memory, inscribed on the inner surface. Simple in form, and created using plaster and concrete, the bowls are simultaneously strong yet fragile. 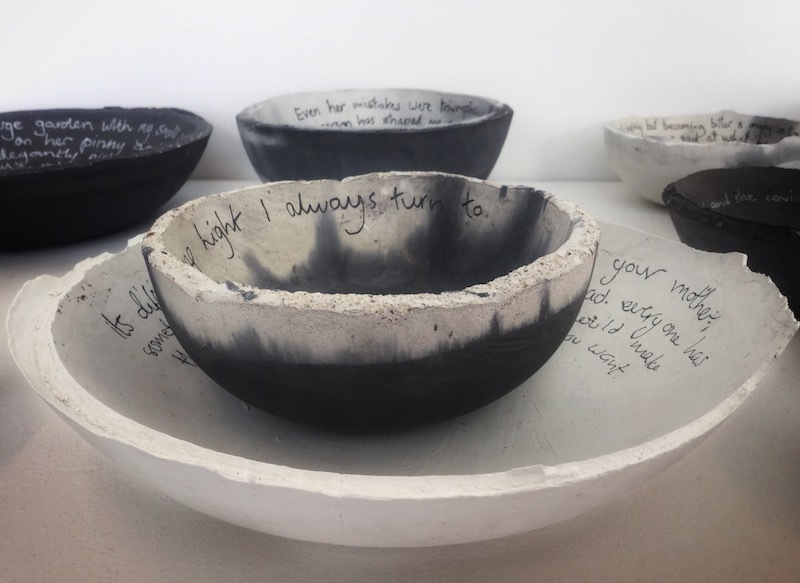 Stacked together and presented as collected memories, the broken and unfinished bowls reflect the vulnerability and honesty expressed in the gathered texts,” Tracey says. 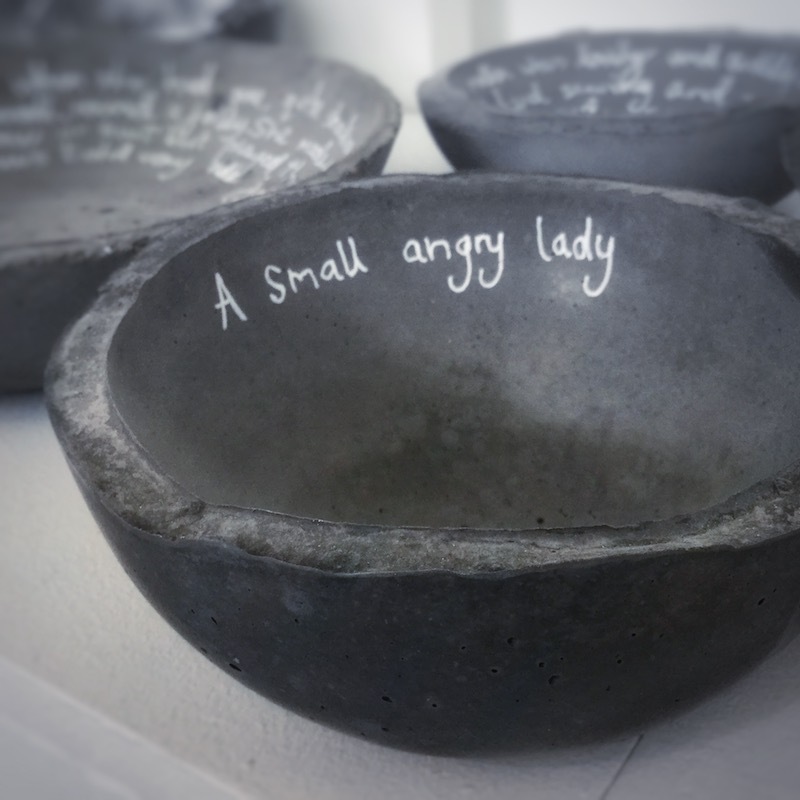 Above: Nottingham-based artist Tracey Kershaw holds up one of her Mother Bowls. Photograph by David Edge.